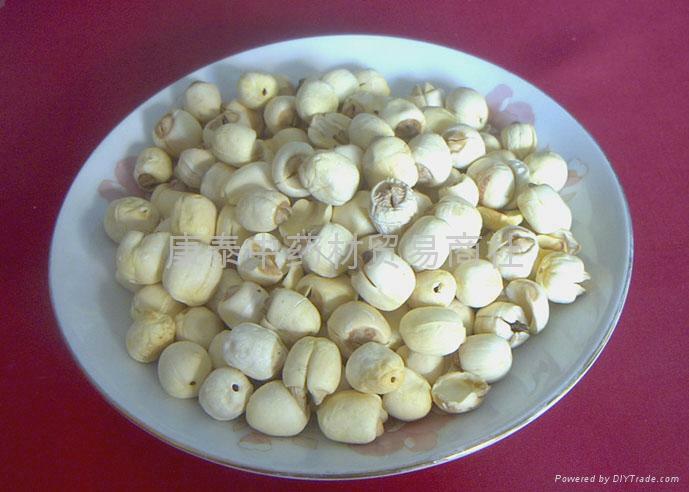 white lotus can improve liver detoxification capacity, protect the liver function , it can not only enhance the anti-tumor immunity , but also enhance the tolerance of cancer patients radiotherapy , chemotherapy. It is also blindly tonic medicine , is characterized by stagnation moist but not greasy , with appetizers spleen , Qi bowel, sleep stomach, brain, clearing away heat and dryness of the work , not on wang ginseng isothermal the patient is a good hot nourishing tonic . Tremella rich natural characteristics of gum , with its yin effect, long-term use can be soothing , and get rid of facial melasma , freckles effect. Tremella is and the kind of diet foods containing dietary fiber , dietary fiber which can help gastrointestinal peristalsis, reduce fat absorption.